This Litecrete house is the first house in New Zealand where the structure is built entirely from concrete, and lightweight concrete at that. At 260 square metres of total floor area, with 5 double bedrooms, this 2-storey house is a weekend/holiday retreat catering to four family groups. The internal walls are plastered; exterior walls are painted, leaving the panel joints expressed. The décor is fresh and modern, reflecting Coromandel’s laid-back marine environment. 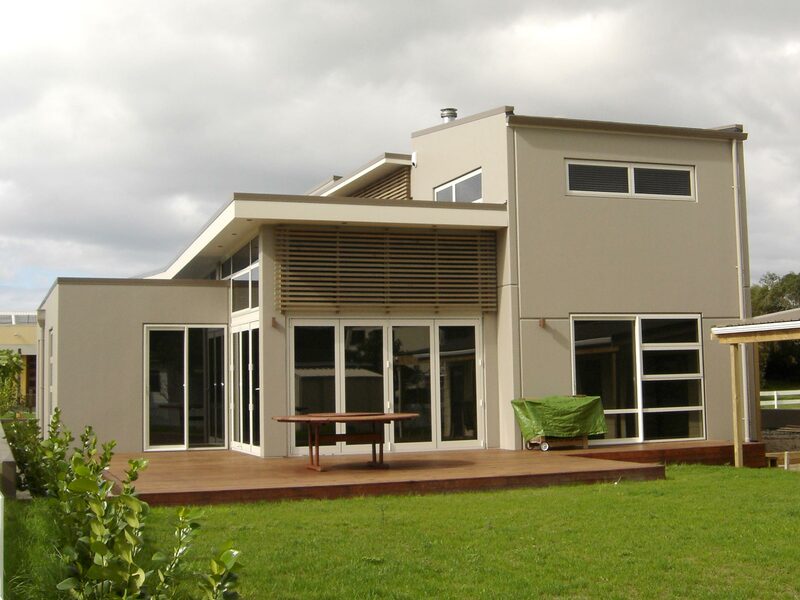 Thermal mass provided by the concrete, built-in insulation from the Litecrete walls and double-glazed windows combine to provide an extremely energy-efficient dwelling which is warm in winter and cool in summer.